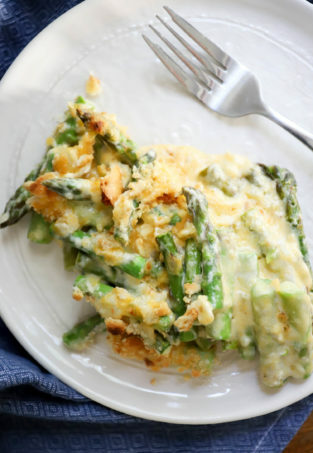 It’s a vegetarian side dish that is super healthy, super easy, and SUPER delicious. ALSO. Besides mincing garlic, there is zero prep, and the spinach cooks in, oh, about ZERO time. 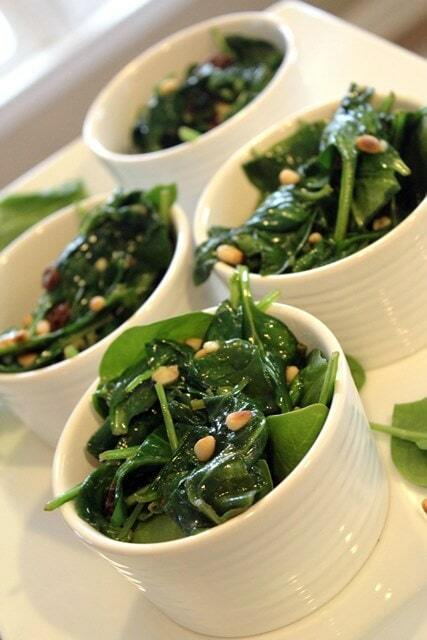 So, this is an imitation of the AMAZING wilted spinach dish that we love so much at Curate Tapas Bar in Asheville, NC. 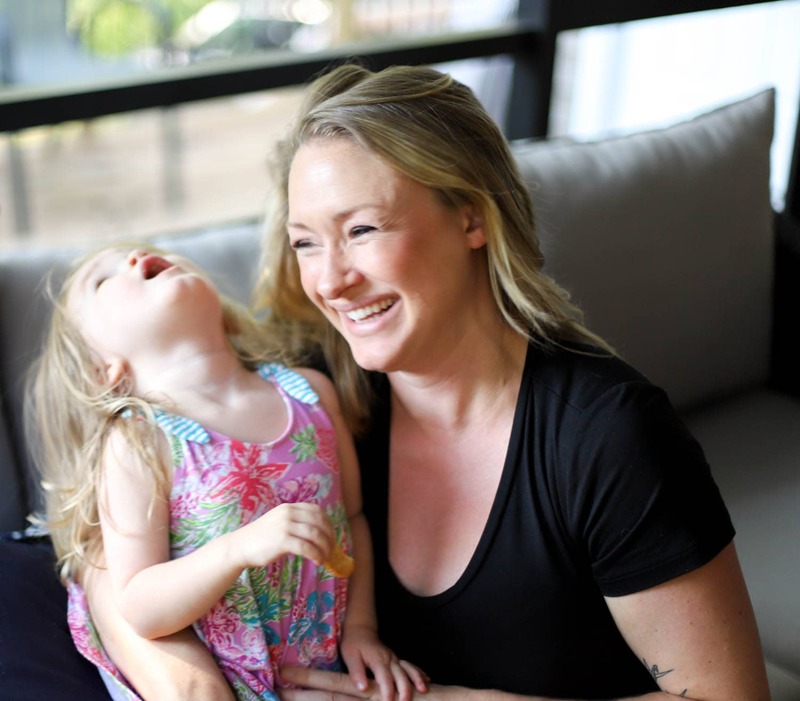 It is SO delicious and, while this isn’t an exact copy, it’s a pretty good version that prevents us from having to drive an hour for dinner every five seconds because we love that place so dang much. Spinach, butter, pine nuts, chicken stock, raisins, and garlic. That’s it! 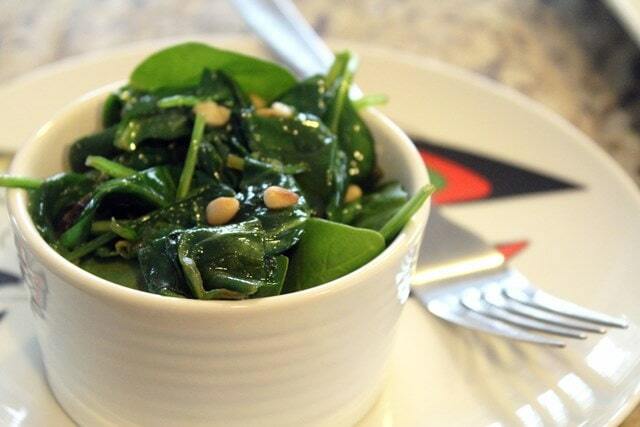 Don’t forget, spinach cooks WAY down, so you’ll need 2 or more cups per serving that you want to make. 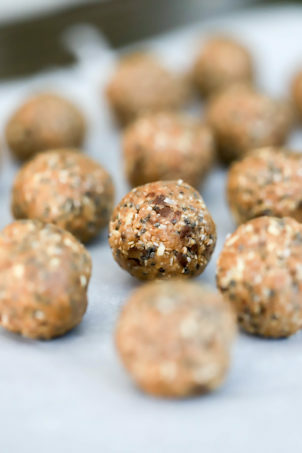 First, place the raisins in a small dish with just a little chicken stock – enough to cover them. Microwave the stock and raisins for 30 seconds, then let them sit while the butter browns to plump up. Mince the garlic, too. 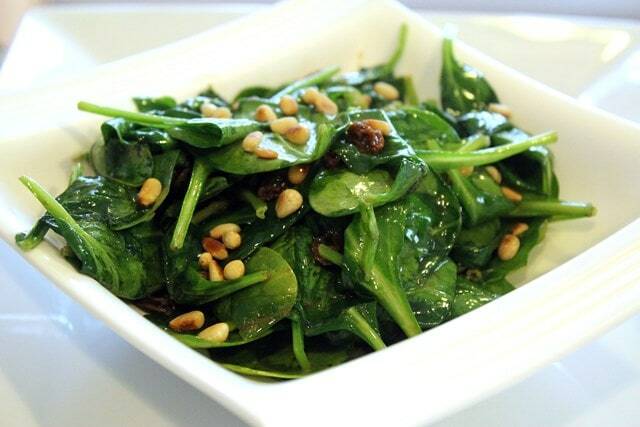 If your pine nuts aren’t toasted, do that in the same pan that you’ll be using to wilt the spinach. 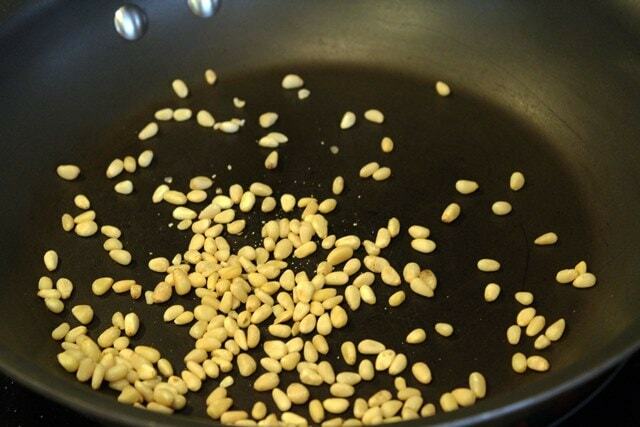 Heat the pan to medium heat and toast the pine nuts in the pan (dry) for 5 minutes until they are slightly golden. Then, set the pine nuts aside! Turn the heat up on the pan very slightly, and add the butter. Let it melt and foam, swirling it every once in awhile. Swirl the butter continuously until the foam goes away and little brown bits form on the bottom of the pan, then turn the heat down to low. 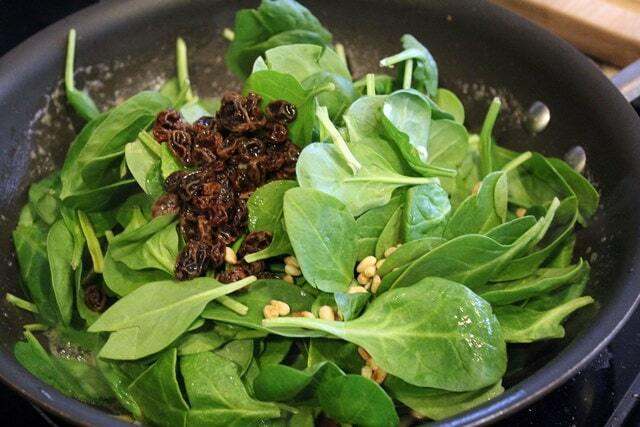 Now, add the spinach, raisins (without the stock), toasted pine nuts, and garlic to the pan. 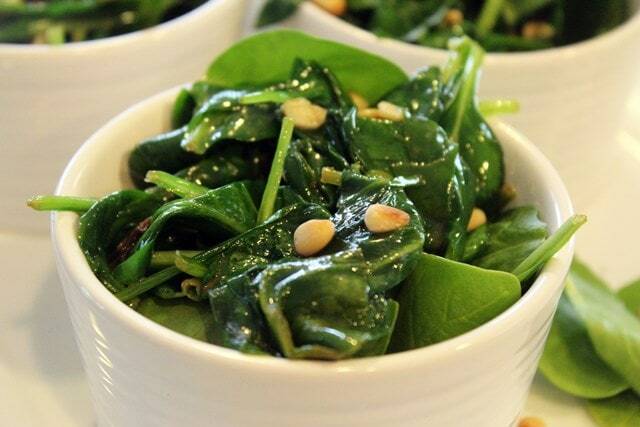 Toss it together with tongs for 30 seconds to a minute, just until the spinach starts to wilt. If you’d like to create a light sauce, splash in a bit of the raisin/chicken stock. That’s it. Seriously. I’m sorry I don’t have more information for you. My butter was salted, so with the butter and the chicken stock from the raisins I didn’t need to add any salt. You could add a bit of salt though, if needed. This of course can be served in a large serving dish – look how pretty! I think it’s cute, though, to have side dishes that can be kind of saucy (like collards, say), in cute little ramekins. Naturally, pine nuts on top is a must. This is REALLY great, guys. 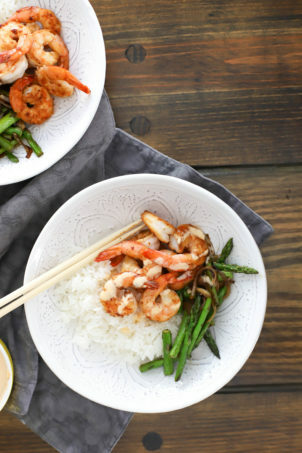 The flavors are so light and fresh, and this REALLY couldn’t be easier. 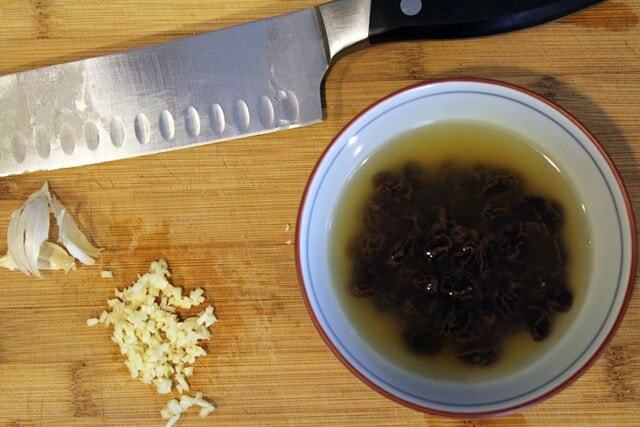 Place the raisins and chicken stock together in a small bowl. Microwave for 30 seconds, and allow to sit while you prepare the rest of the dish. 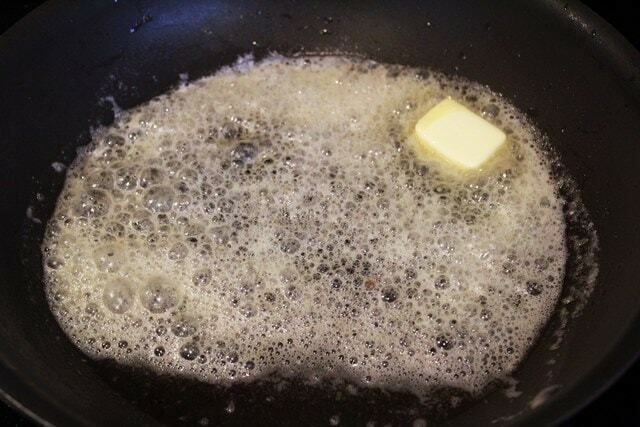 Preheat a large skillet to medium -high heat with the butter. Allow the butter to melt, then foam. 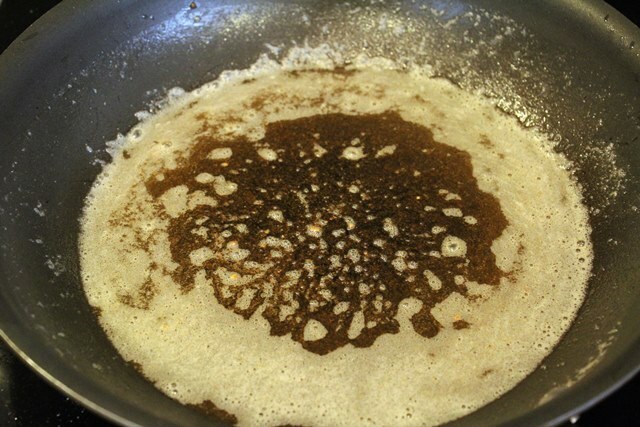 Swirl the butter until brown bits form on the bottom of the pan, then turn the heat down to low. 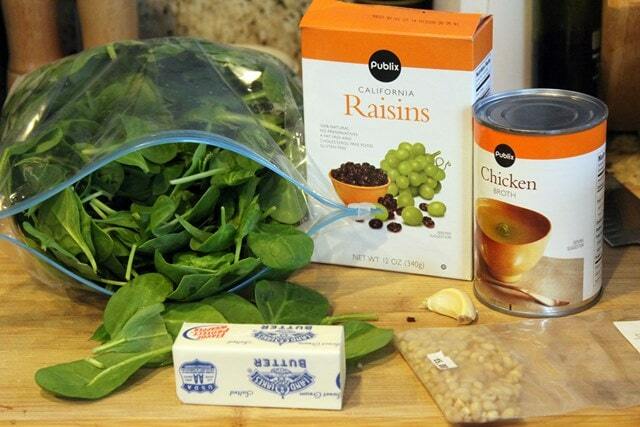 Add the spinach, pine nuts, raisins, and garlic to the butter with 1 tablespoon of the raisin/chicken stock. 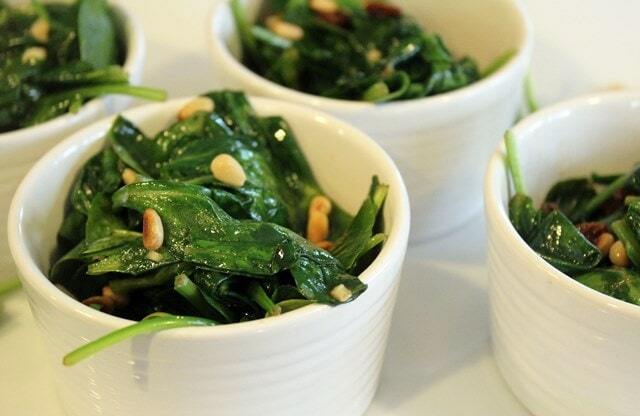 Toss together with tongs for 1 minute, or until the spinach just starts to wilt. For a light sauce, add more of the chicken stock. Taste, and salt to your taste, if needed. 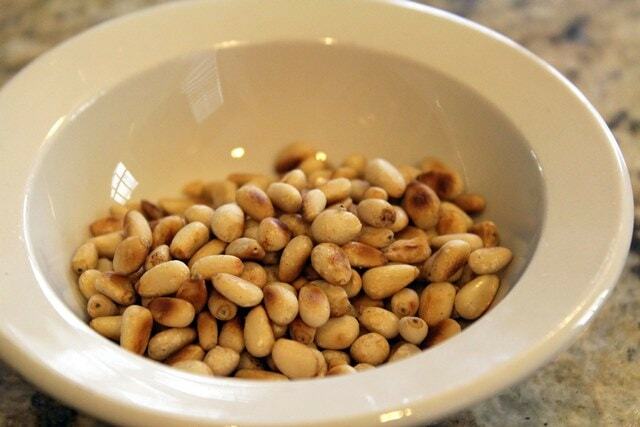 Serve hot with extra pine nuts for topping. This is so yummy that I included it in this week’s Weekend Potluck. 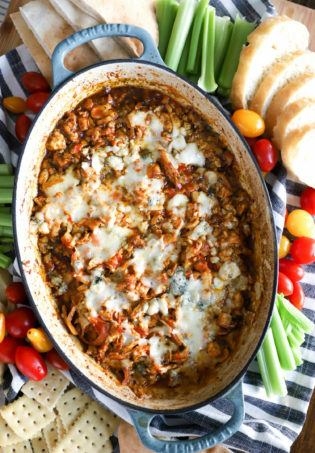 It’s this cute thing where blogs from EVERYWHERE can submit recipes to share with others – it’s so fun to check out new things!